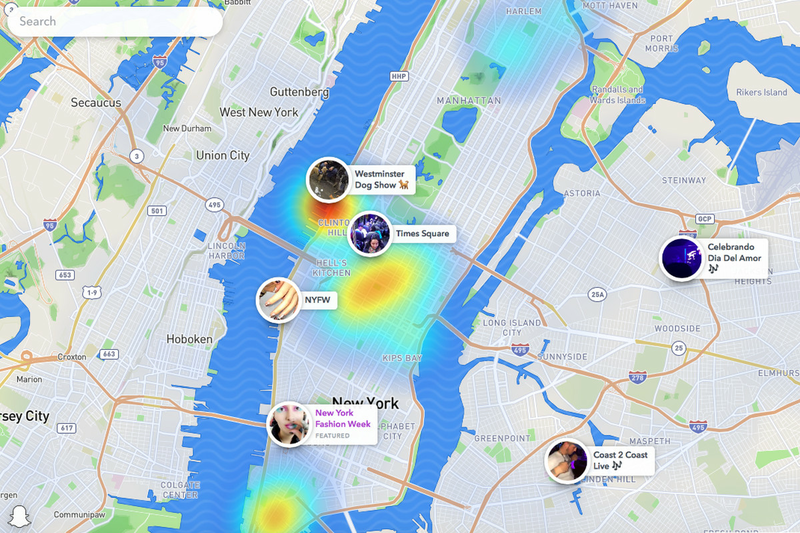 Snap Maps debuted over the summer as a way to track your friends. The app version populates with your friends’ Bitmoji, along with public stories from around the world. The map works in a couple ways: You can zoom in somewhere on the map and watch curated and edited Stories, or watch Map Stories, which are snaps that have not been edited into a story. You can watch them by clicking on colored areas of the map. It looks like a heat map and Snap does indeed refer to those spots as "heat." For the public, online version of the map, Snap has removed usernames. Still, if people are consciously thinking about the whole internet being able to see what they’re up to, instead of just the millions of Snapchat users.